We used many operating systems in our life. Windows versions , different distributions of Linux , Android etc.. Everyone want to use one operating system in their life, that is Apple mac os x operating system. Apple integrate it with their hardware, so we can’t buy it from other retails stores. Last year, they made Mac OS X free for Apple computer owners, they can upgrade to latest version of OS X 10.9 from Apple store. If you want to get the real power of Apple Mac OS X , you must buy an apple computer. 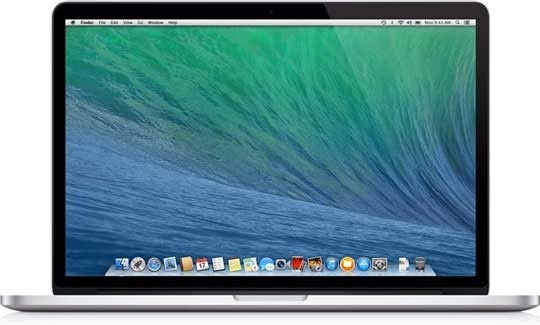 If you want to install latest Apple Mac OS, Mavericks on Windows machine, this article will help you. Here we installed Apple Mac OS X 10.9 aka Mavericks on Vmware workstation. You can do same on Linux host. Here we use Windows 8 as host machine. We can install Mac OS X 10.9 but it won’t give the real power of Mac OS X. It will be slow, but perfomance depends upon your Processor and RAM. System with Intel VT or AMD equivalent technology. 5: Extract your Mavericks zip fille. 13. You will see a black screen, Click on I copied once your get a prompt window. hi, what version of vmworkstation should i use??? Where do I find my BIOS settings, do i HAVE to shut it down and press F2 or is there a different way?? Please reply ASAP! my vm ware said " The CPU has been disabled by the guest operating system. Power off or reset the virtual machine. " i have done everything as mentioned but the virtual machine doesn't start …it show loading screen only. Never mind, it just wasn't working in fullscreen. It does the same on mine too! Hello 7Chip VMWorkstation Are Stuck On The Apple Logo And Give Me The Popup Whit: ??? The Guest System Has Stoped CPU What I Need to do? the vmware is for 64 bit and i want it for 32 bit . please help me. I need this in 32bit. please help! !